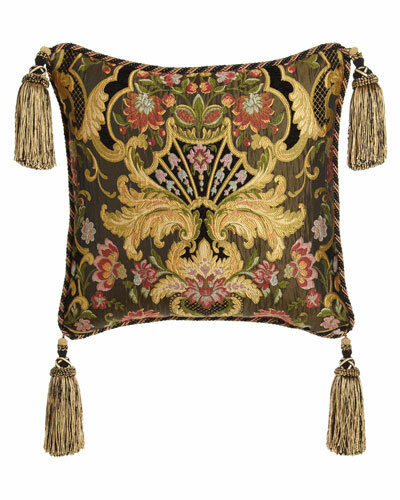 Polyester jacquard and ruched silk front with cording and gimp detail. 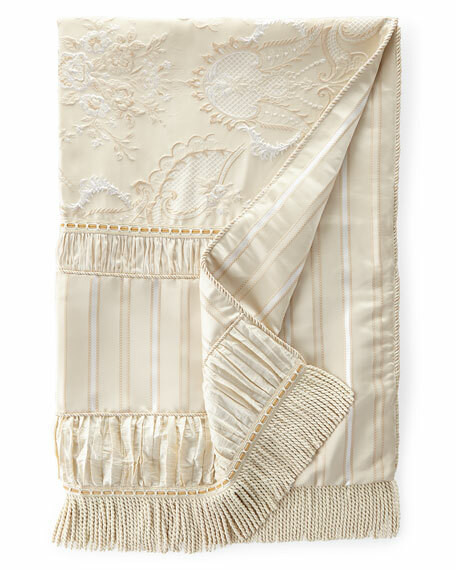 Finished with bullion fringe and a striped back.54" x 72".Dry clean.Made in the USA of imported materials. 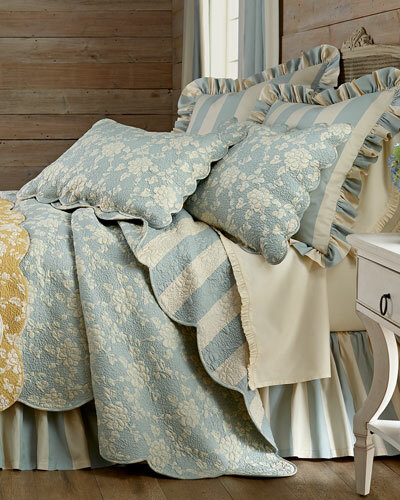 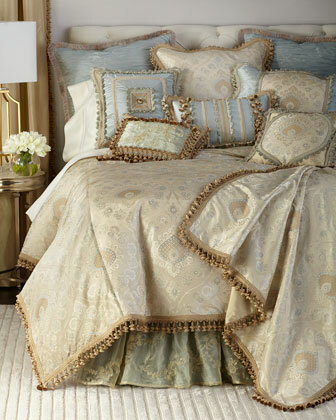 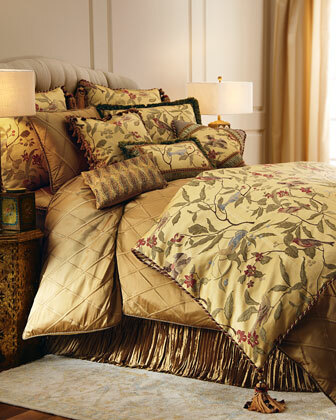 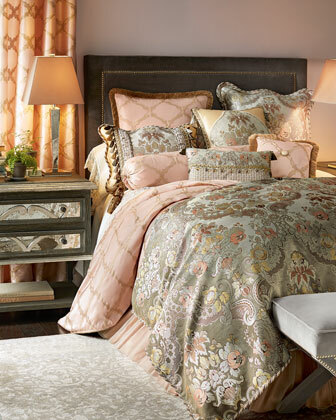 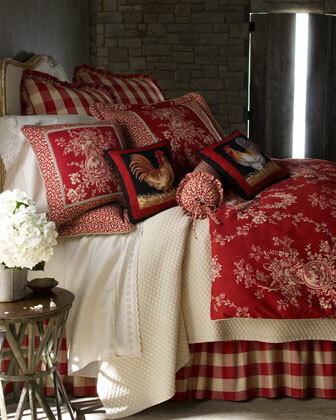 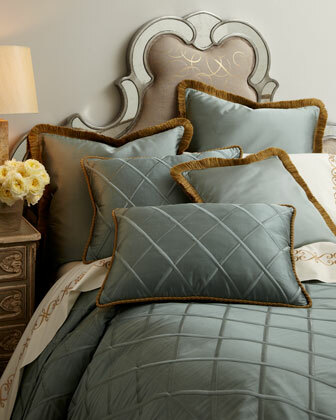 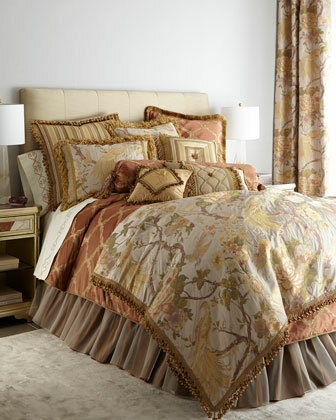 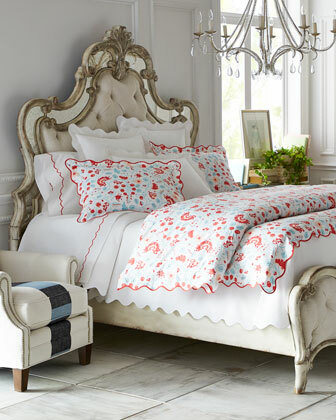 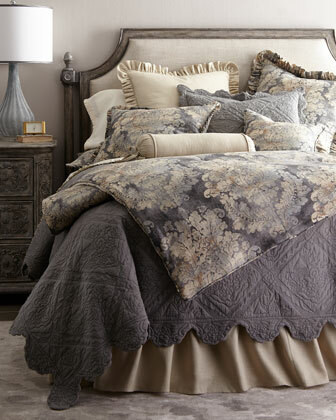 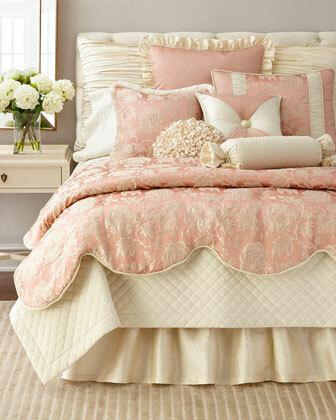 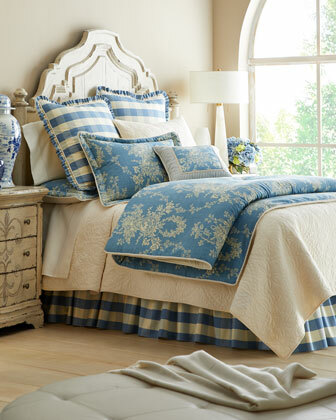 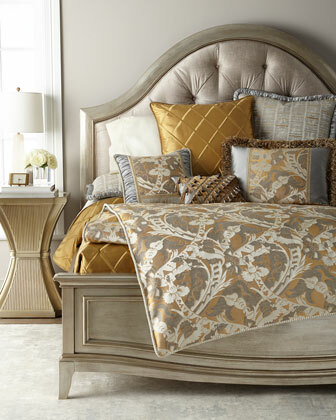 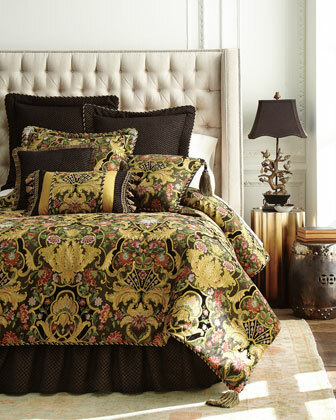 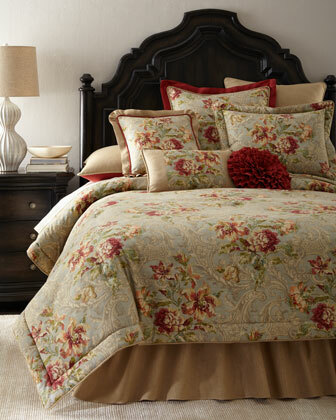 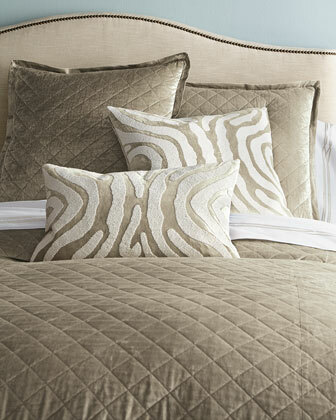 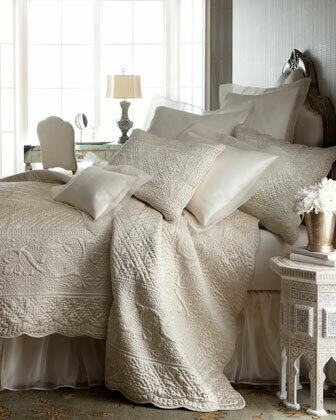 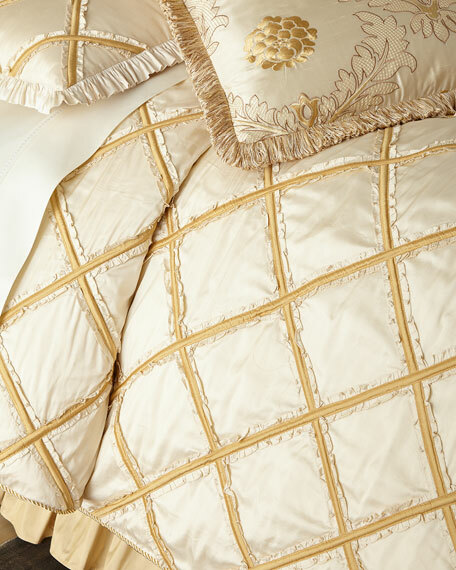 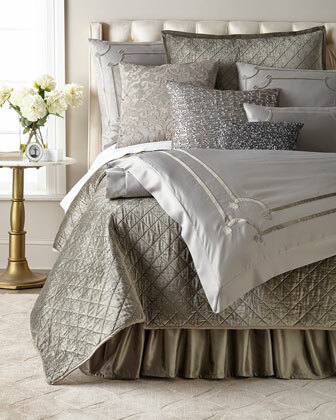 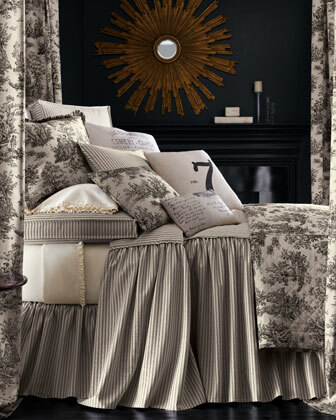 EXCLUSIVELY OURS.Ruffled diamond-pattern duvet cover. 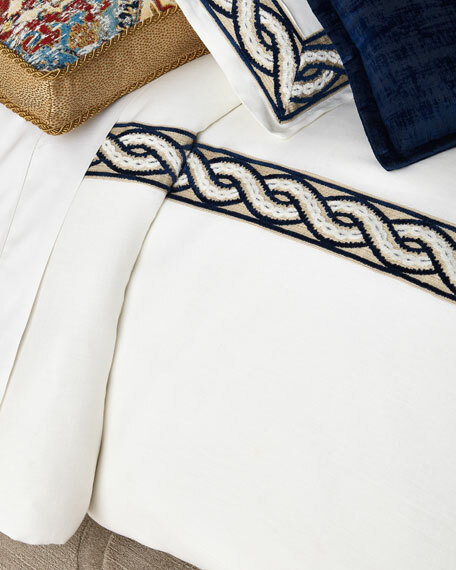 Cord edge. 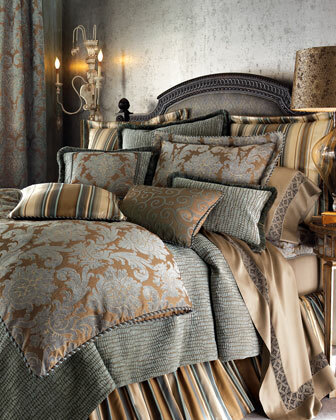 Silk; cotton backing. 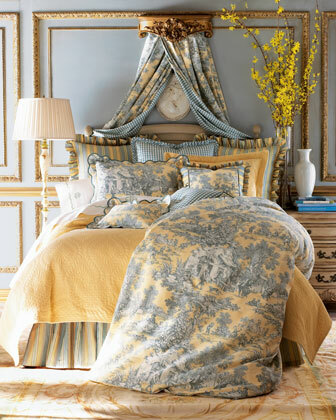 90" x 95". 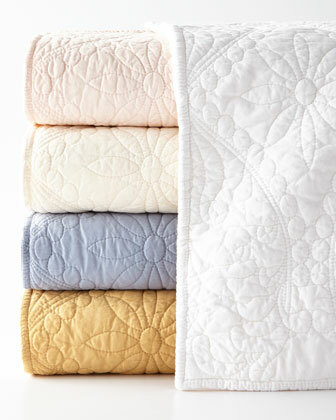 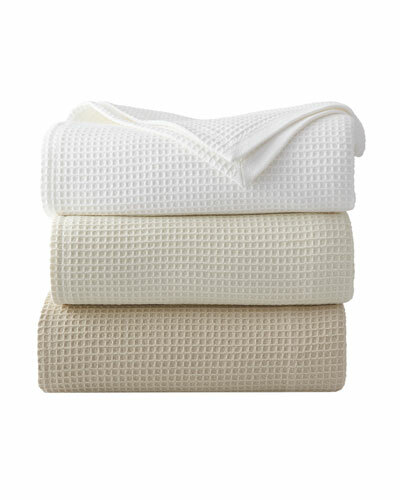 Dry clean.Made in the USA of imported materials. 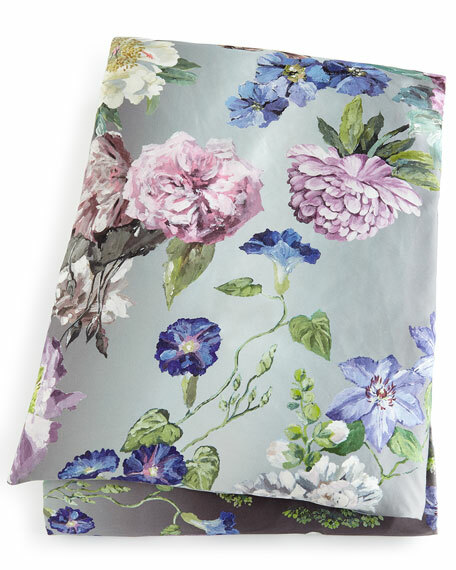 An ombre background shades from graphite to pale chalk behind vibrant blossoms on smooth-to-the-touch, lustrous cotton sateen.88" x 96".Machine wash.Imported.